He views every situation as an opportunity that needs to be explored, a door that needs opened, a challenge to be solved. 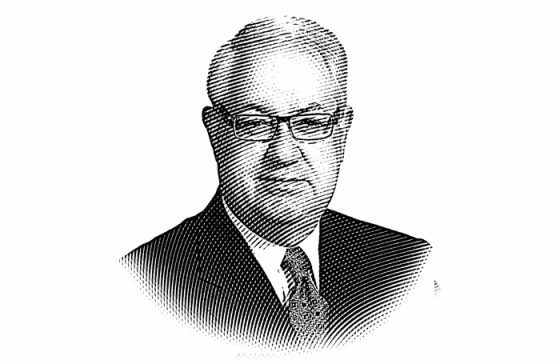 Jerry Linzy is Executive Partner Emeritus and Chief Operating Officer of Jerold Panas, Linzy & Partners – a major force in the field of Financial Resource Development. The firm has offices in Chicago and Boston. Since its founding in 1968, the firm has served over 4,000 client institutions. We lost count! The last time we totaled the dollars, we found that Jerry has been involved in campaigns for the firm’s clients that have raised in excess of billions. The dollars are important, of course. But no less important is the regard clients have for his work and leadership. He brings care, concern, and creativity to his involvement. He views every situation as an opportunity that needs to be explored, a door that needs opened, a challenge to be solved. Mr. Linzy brings to his position remarkable experience. He has nearly forty-eight years (twenty-nine with the firm) experience as a senior development officer in major healthcare institutions and higher education. Since joining the firm, he has been involved with every type of institution and has been successfully related to most of the major clients of the firm. Additionally, he was a member of the Corporate Council for Interlochen Center for the Arts in Interlochen, Michigan. Mr. Linzy is past International Chair of the Association for Healthcare Philanthropy – its highest office, and a distinct honor, for professionals in healthcare. Jerry Linzy is a contributing author of The NonProfit Handbook. He teaches in six tracks at the AHP Institute at the University of Wisconsin in Madison, and is the former Dean of the Capital Campaign and is Senior Faculty for the Institute for Charitable Giving. The Association for Healthcare Philanthropy represents thousands of hospitals and medical centers in North America and the world. They provide an award each year to the one person who has contributed the very most to the healthcare institutions in the world. Jerry was honored with the Si Seymour Award. Organizations he works with will confirm that he is an astute strategist and an effective problem- solver. He brings an extraordinary skill and talent to his clients. He is acclaimed by both the volunteers and staff he works with. His standards are high and he is dedicated to the success and the best of those he serves.